Not Dead Yet (UK) has always valued Alison’s thinking and work, and her experience of a disabled life worth living. She was particularly dedicated to the defence of disabled children and babies. We have never pretended that we saw eye-to-eye on every subject. But then Alison herself often pointed out she didn’t see eye-to-eye with her earlier self either. We certainly agreed on this: legalizing euthanasia is something we must resist at all costs. NDY (UK) is first and foremost a coalition, with one focus. So in the true spirit of standing together against euthanasia and this wider attack on disabled people, she was always generous with her time and thoughts. Her thinking was deeply affected by Louise, the baby euthanased in 1979 because of the same impairments as her own, by deliberate starvation and dehydration. She was one of the first to protest vociferously against what has now become possible in Holland under the Gronignen Protocol. 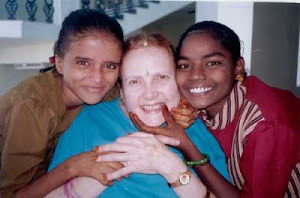 If her response to that shocking case led her to a different place from our own, that does not in any way negate our respect for her determination and the work she demanded of herself from her conviction, and which also led her and Colin (Harte) to set up a charity supporting disabled children in Southern India in 1995. Her work for No Less Human focused on the killing of disabled babies. Given that the law in the UK allows for termination of pregnancy right up to the moment before birth, she fought for people to recognize this as part of the same discrimination against disabled people that allowed for their termination after birth. 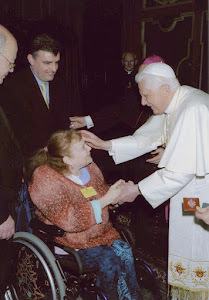 She shared our resistance to the dangers of legalizing euthanasia. She cited her own feelings as evidence, that if people were legally encouraged to make end-of-life choices at the time, she might not have survived her own despair. In taking the steps to speak openly about those moments, she opened the door to many to understand that we can all experience such ‘lows’, but even when they are very long-lasting (10 years in her case) we can find a new meaning in our lives. Her disability was not irrelevant, but as the quote above says, those impairments and life-limiting conditions did not define the person. Too many of those who want us gone miss this crucial point: seeing we are disabled is not a reason for assuming we should want to die. We mourn her passing and are grateful to have known her and for the contribution she made to our debates and campaigns. A woman of principal we will miss her.